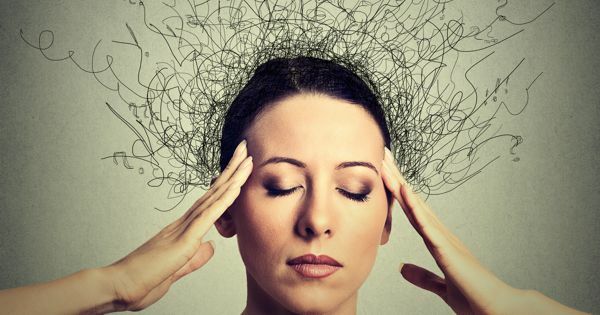 One of the things that comes up quite frequently when speaking to a prospective client is ‘over thinking’ or a having busy mind. I have just been clearing my email inbox and I think it is a good analogy for thinking. I came across a great little tool to unsubscribe from various subscriptions I tend to sign up to over the years. I guess we all do it to one degree or another but do we really read them and get value from them or are they just adding noise to our day? Yes, that includes this one!! The website www.unroll.me scanned email to see what subscriptions there were so I can review them all. I was amazed when it came back with 250 subscriptions!! I am guessing it scanned deleted and junk mail as well because gmail technically doesn’t delete anything. I found it incredibly helpful to see them all in one list and be able to unsubscribe to stuff I wasn’t even aware I was subscribed to. Most of it I didn’t know about because I guess it went straight to my spam box. However it would have been cluttering up my email, creating more spam for me to have to filter through and generally slowing things down. Seeing it all in one list helped get perspective of what I have signed up to and helped me review what I really want to continue receiving it. Marie Kondo is a de-cluttering consultant and author of The Life Changing Magic of Tidying. She says instead of decluttering room by room she recommends you do it by category e.g. books, clothes. You gather all the books from around the house in to a pile and then review them and decide what you want/don’t want. When we compartmentalise it by room we are not seeing the complete picture of what we have to get perspective and clarity on what we want to keep. The same is true for our thinking. We try and fix things in a particular room/area of our life, e.g. fertility, when it is far more effective to take a step back and look at the thinking we have about ourselves generally that we will be bringing to all areas of our life to one degree or another. This thinking can particularly impact our fertility journey as it often highlights and exaggerates this thinking due to the emotional intensity of the journey. For me it was thinking like ‘I’m not good enough’ and ‘I don’t deserve good things’. These were not about fertility specifically, but it was our fertility journey that highlighted them. We bring our thinking about ourselves and our life generally to our fertility journey, we don’t create new thoughts and beliefs in it. It is usually thinking we picked up at quite a young age that has become a habit. This doesn’t mean it has to take a long time to let it go. A change of heart can bring immediate and dramatic changes on outlook and experience. So I recommend you focus on Project You rather than Project Baby. In my personal experience and the experience of my clients shows this buys you time rather than wasting it. It helps you be in the optimal mindset (which affects your body) to help you get pregnant and know whatever happens you will be OK.
Take a moment to consider what thinking is cluttering your mind that you want to unsubscribe from? Let me know in the comments below. Speak your truth. Be honest with yourself, until you are you cannot move on from it.